A new interactive exhibition, thought to be the first of its kind in the city, was successfully launched at Newarke Houses Museum in Leicester last week on Thursday 9 March. For the first time ever, a hidden era of British and Sikh history has been brought to life through an exhibition showcasing relics including the famous Koh-i-noor Diamond, armour and weaponry. Many of the items have been 3D modelled and use augmented reality technology to bring alive the story from the wars that took place from 1845-1849. 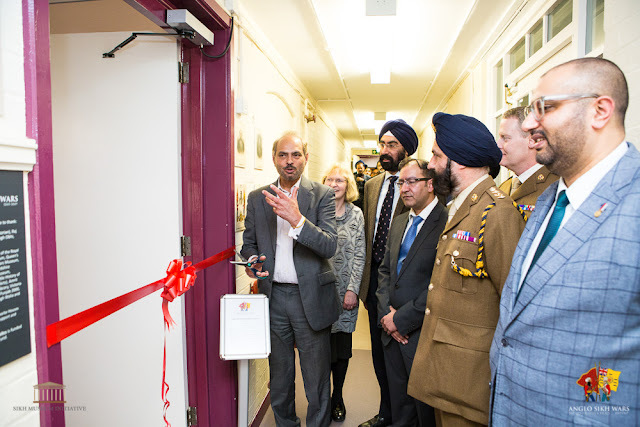 The launch event was attended by dozens of people including members of the military, civic dignitaries, councillors and community leaders from Sikh temples. The fiercely fought Anglo Sikh Wars culminated in the annexation of the great Sikh Kingdom in the Punjab as well as the appropriation of the Koh-i-noor diamond by the British. This ‘Theatre of War’ has been featured in the latest game from the Assassins Creed franchise and has stimulated a new interest from a younger game player generation. It is widely known that India was the ‘jewel in the crown ‘of the British empire, however this project will illuminate how crucial the Sikh Empire was to the British Raj. Later, Sikhs were to make up 25% of the British Indian Army, despite being only 1% of the Indian population and later were instrumental in both world wars. 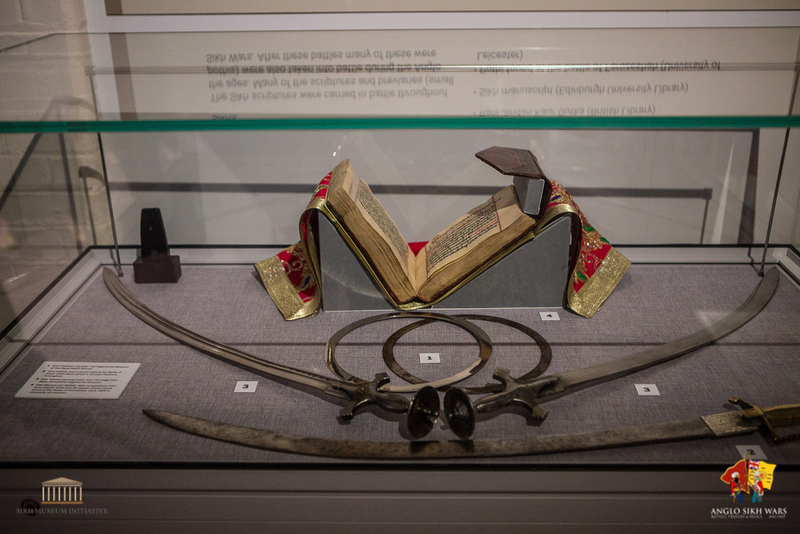 Entitled Anglo Sikh Wars: Battles, Treaties and Relics, and based in the Midlands, the project is being led by a team of professionals and volunteers from the local community. The project focuses on researching and highlighting relics and artefacts, which are kept in regimental museums across the UK. In order to raise awareness and understanding of these objects and broad area of research, members of the public will have the opportunity to attend a number of lectures and take part in workshops in the East Midlands and other parts of the UK. A special exhibition displaying many of these artefacts is open to the public at Newarke Houses Museum in Leicester until 4 June 2017. In addition, there will be a travelling exhibition based on the project and its research that will be available to museums, libraries and other groups. 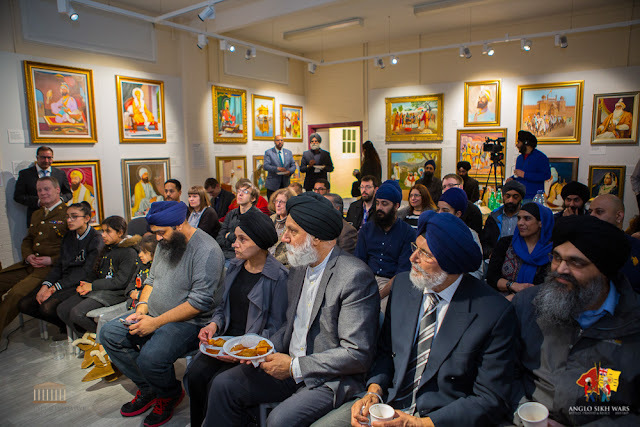 As a unique part of the project, new 3D modelling and augmented reality technology has been used to bring some of the project’s research to life and give members of the public a real insight into British and Sikh history. A number of objects have been created utilising this technology to enable people to explore them in greater detail and depth. This 3D augmented reality exhibition is absolutely fabulous to see really. 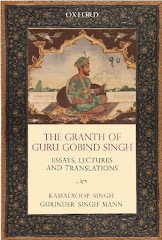 Sikh manuscripts and shastars have something to explore. Your blog is bookmarked already.